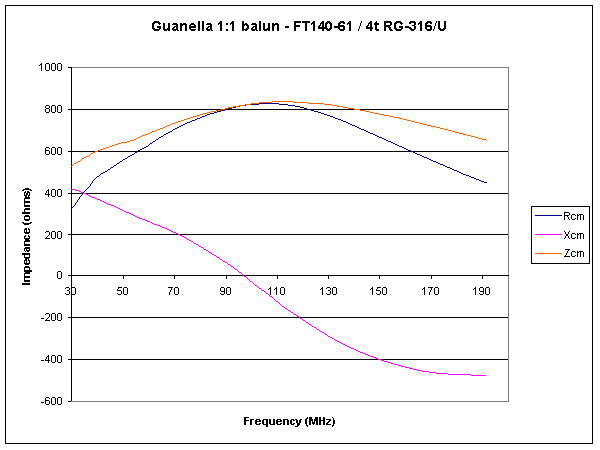 This article applies the lossy transmission line model described at A model of a practical Guanella 1:1 balun to such a balun made using a FT140-61 core four turns of coaxial cable (RG-174/U, RG-303/U, RG-316). The FT140-61ferrite cores (Fair rite 5961002701) are available in Australia, and at the time of writing were obtained for A$7.80 each. 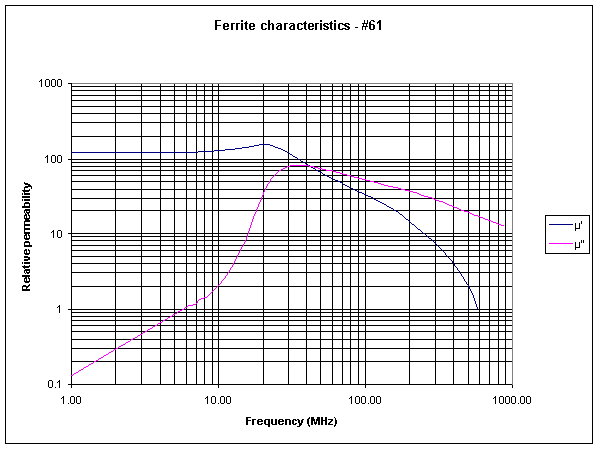 Fig 1 shows the published characteristics of Ferrite mix 61. It is a low µ ferrite intended for higher frequencies, but it can be seen that at 144MHz, its µ' has fallen to around 20. Nevertheless, it is well suited to this application because of the high value of µ'' at frequencies where µ' has fallen off. 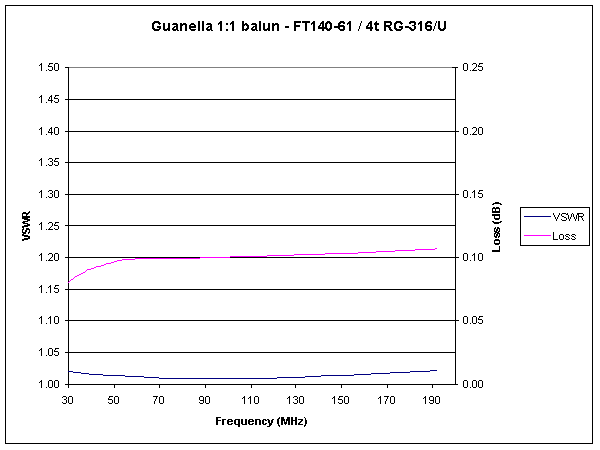 Fig 2 shows the common mode choke impedance calculated on published material characteristics (see A model of a practical Guanella 1:1 balun) and adjusted for measured core characteristics. Quantity Zcm is the magnitude of Rcm+jXcm. The model includes 1.3pF of shunt capacitance to calibrate the model to a measured balun. Fig 3 shows the VSWR and loss for the isolated balun terminated in a 50Ω load with the centre of the load grounded. Table 1 sets out the choke impedance in the 6m and 2m VHF amateur bands for input to NEC models or the like. Stray capacitance should be minimised when winding these chokes. 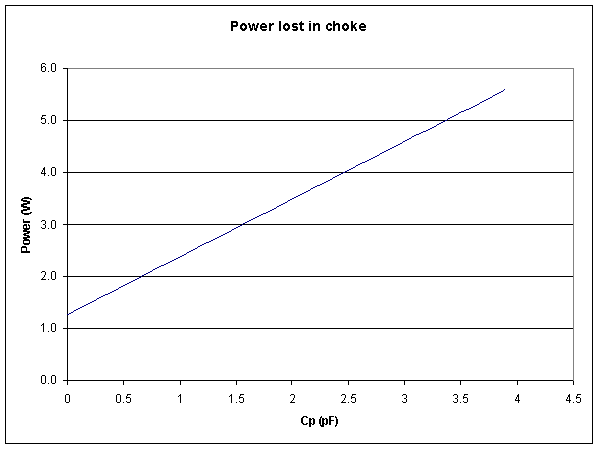 Fig 4 is a plot of power lost in this choke at 144MHz at 100W with series equivalent impedance of 795-j366Ω and variable Cp, for 100W applied to a symmetric 50Ω load. Increasing Cp increases loss. Untidy winding will also risk unwanted resonances within the operating range. In is inadvisable to try to wind this balun with larger coax, such as RG-58C/U, it is not easy to keep stray capacitance low enough. 1.02 12/04/2009 Corrected small error in model.